We all want beautiful skin. When I was a teenager I suffered from acne and today I still get a few mild breakouts. Like most women I’ve tried several skin care products searching for something that will help me get youthful, glowing, beautiful skin. Of course I never found that magic potion. My skin has flaws. But after reading, “The Skin Regime – Boot Camp for Beautiful Skin,” by Dana Ramos I learned that I can obtain more beautiful skin if I really truly want it without purchasing expensive creams or plastic surgery. Dana recommends that you do a skin peel once every 7 to 14 days. 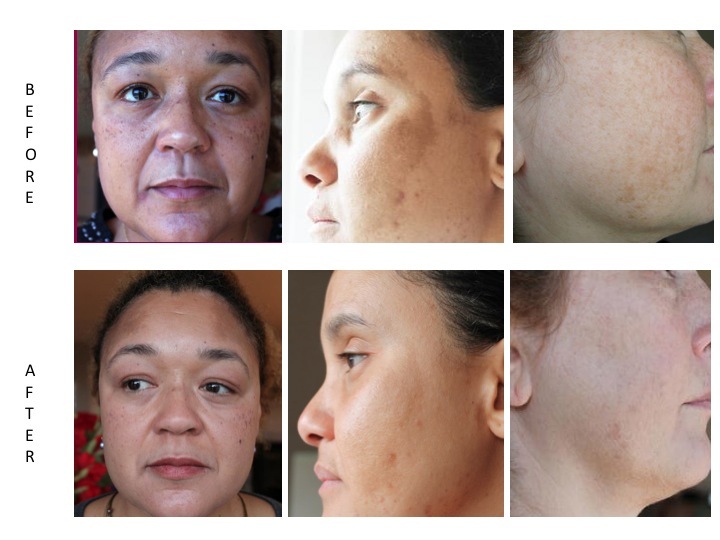 After about 7 skin peel treatments you will see amazing improvement in your skin. Just take a look at the results that these women had. After one peel treatment my skin turned a little red but once the redness faded my skin felt refreshed. I do believe that if you stick with the tips that Dana shares in her book and you are serious about obtaining more beautiful skin, “The Skin Regime” will work for you. To learn more about “The Skin Regime,” and to subscribe to Dana’s newsletter visit theskinregime.com. *Disclosure: I received a copy of the book, “The Skin Regime, Boot Camp for Beautiful Skin” and a sample skin peel in exchange for this review. All opinions are accurate and 100% mine. Three Healthy Moms Magazine readers can win a copy of the book, “The Skin Regime, Boot Camp to Beautiful Skin” by Dana Ramos and a sample skin peel. All you need to do to enter is like The Skin Regime on Facebook, follow Dana Ramos on twitter, subscribe to The Skin Regime Newsletter, and leave us a comment. Place our button on your website or blog. Add The Healthy Moms Magazine to your blogroll. Blog about this contest. Make sure you include a link back. For every entry including extra entries please leave a separate comment. Winners will be chosen randomly from the comments and e mails that I receive. The contest ends on March 8, 2013 at 8am PST and is open to anyone in the Worldwide, 18+. Please leave your e mail address in your comments. All comments without e mail addresses will be disqualified.